Over the past 4 weeks, children in Celts House have raised £800 for Macmillan’s Cancer Support; the original amount that they had hoped to raise was £300. They achieved this by organising a mufti day, a sweet tombola and a week-long film club. These events were all a great success. Celts House Captains, James and Ellie organised these events, with the help of Mrs Jarrett . They said that they were overwhelmed with the amount of money they had managed to raise for such a great cause, and in such a short time. 100% of the money raised will go towards supporting Cancer patients and their families during the difficult times of their illness. 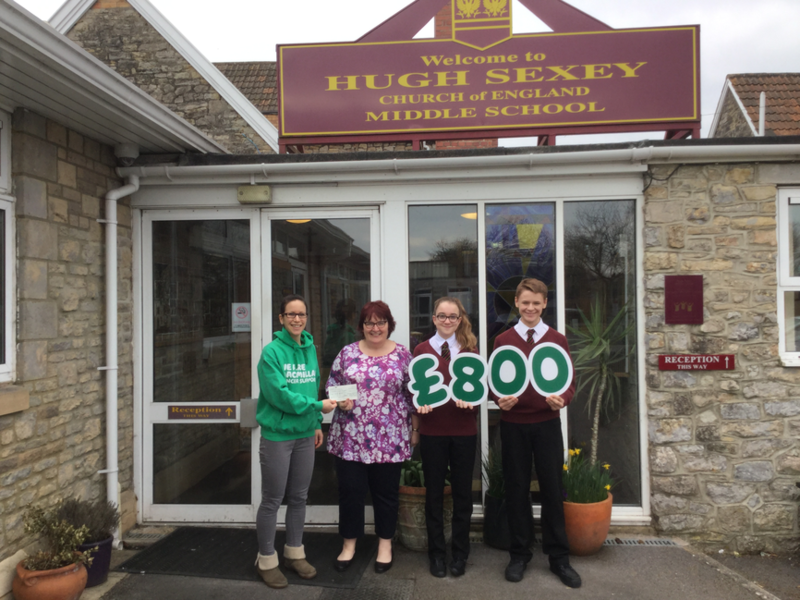 The photo below shows Genevieve Drinkwater receiving a cheque for £800 from Ellie and James, Celts House Captains, and Marion Jarrett, Pupil Voice Co-ordinator at HSMS.